Trustees are co-opted and vacancies are advertised publicly when they arise. None of the Trustees is paid or in receipt of allowances. The Trustees are listed below. Phil Gibson, a local businessman, was elected as East Looe Town Trust's new Chairman, with effect from 1st October 2017. Phil has until recently been Vice Chairman and is the Trust's longest serving Trustee. 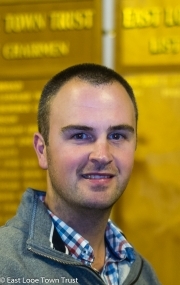 Andy Bishop was born on the Rame Peninsular and has lived in Looe for most of his life. He attended both Looe Junior and Secondary schools. He is married to local girl Alison and has two grown up children. He has worked for Devenport Dockyard for 42 years and is still employed as a Commissioning Engineer. 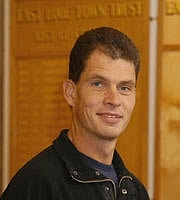 He joined the Trust in 2009. "I love the Wooldown, it's a little piece of countryside minutes from the centre of Looe. I loved being up there as a child and still do to this day. I joined the Trust to help preserve this and the Town's other assets for future generations to be able to enjoy them like I have." I had been holidaying with my wife and children for over twenty years in Looe and found the town and the people very welcoming. On retirement from the automobile industry in 2013 my wife and I decided we would move to Looe. Once here I decided I wanted to give something back to this fantastic place, I applied for the unpaid role of trustee with ELTT and in 2017 I was appointed to the board. It’s a lot of work but very rewarding to give back to the community and town. Brian Galipeau is a co-opted Trustee. Looe was home-from-home for Brian for thirty years before he and Beth moved to Old Barbican Cottage in 1999. They have two married children and four grandchildren. 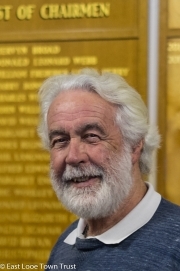 A Caradon District Councillor for Looe from 2003 to 2009 Brian has always been driven by the need to improve the economy of the town, and to preserve its heritage, especially by protecting the Conservation Area. Served for eight years as Hon. 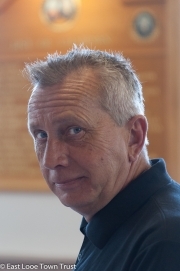 Treasurer for Looe RNLI, he is a keen photographer, trains two labradors. "I jumped at the chance to serve as a Trustee to help keep some of the town's most historic assets safe for the future, and serve the charitable purposes of the Trust. I also want to do what I can to draw our various town organisations into working closer together for the benefit of all." My husband and I have always loved Looe and have holidayed here together for over 10 years - we have always known that we would live here. We relocated recently from Watford and welcomed our beautiful baby girl. When I saw the advertised trustee position I knew that it was my chance to get to know my new local community whilst having the opportunity to make a difference by being involved with East Looe Town Trust. 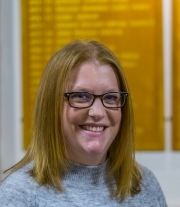 I work as an Events Manager and hope to be able to bring my knowledge into my new voluntary role as a trustee. Having been in the local area for over 12 years but only recently moving into East Looe in June 2018. I wanted to give something back to the local community and when I saw the vacancy to become a Trustee I jumped at the chance! 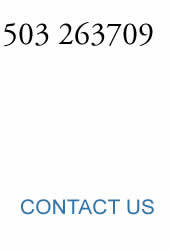 I am involved in the Agricultural industry as a Director of an Agricultural Merchant business. This should come in handy with regards to the beach tractor! I look forward to my time of being a Trustee on East Looe Town Trust. The first time my wife and I came to Looe was on a cold but sunny day in February 2011. We fell in love with Looe. It was “something” that we felt drew us to want to live here. So, we bought a plot of land and I managed the build of our dream home. We have 3 sons and 5 grandchildren. I retired in 2011 after 45 years in the Construction Industry. As Operations Director of a major contractor and from 1991-2011, Director of a national subcontractor, I have a broad understanding and insight into construction issues. I am delighted to join the Board of Trustees and I hope to make an active and positive contribution to the ongoing control and management of the varied and historic assets in East Looe. 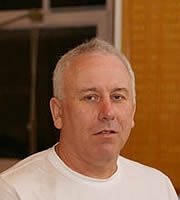 John Warne joined the Trust in 2009 and was the Chairman from February 2011 until October 2017. Having been born in Pensilva, attended Liskeard Grammar School and with relatives in the area, he has a long and close association with Looe. 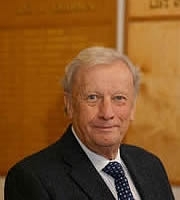 John spent most of his working years in Whitehall and retired in 2002 as Director General at the Home Office. 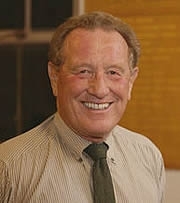 He was made a Companion of the Order of the Bath in The Queen's New Year's Honours List 2000 for services to the public. John and his wife, Elaine, had no doubt that they would spend their retirement years in Looe. They count themselves as fortunate to be able to do so and feel very much part of the local community. "I had a bit of spare time on my hands (it doesn't feel like that now!) 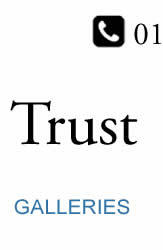 and was looking to do some voluntary work when the opportunity to join the Trust arose. It is my modest way of putting something back into a town that has given me and my family so much pleasure over the years." I have been an active member of the local community since my wife, Ann and I retired and moved from the Thames Valley to Looe in 2000. This followed many years running a business and working in government consultancy. We have two grown up children and two grandsons. I have been involved with several groups and organisations, including Looe Boat Owners Association, Chair and Project Manager for the Millpool slipway, Station Road Re-fuelling steps and West Quarries picnic site. Looe RNLI, serving in several roles over the years, and Secretary and Committee Member with Looe U3A. I have a particular interest in any improvement to the infrastructure and economy of the Town and ensuring the youth of Looe are fully engaged.